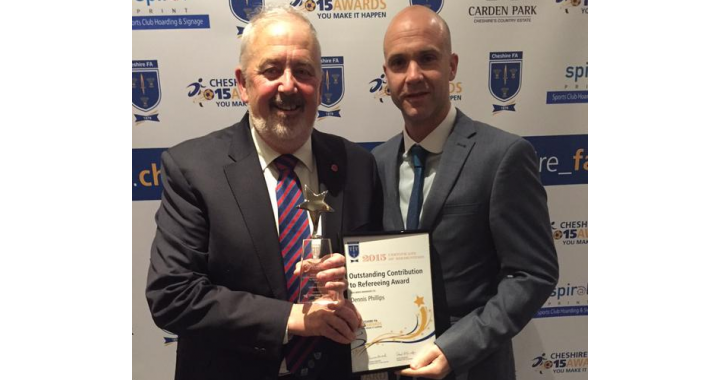 Dennis Phillips has been presented with the award for Outstanding Contribution to Refereeing at the Cheshire FA 2015 Awards. Dennis has provided over 40 years of service to refereeing, and following a successful active career has dedicated recent years to the development and progression of other referees in the district. We send our heartfelt congratulations to Dennis on this well deserved award. Following a successful tournament, Anthony Taylor has been appointed as referee for the UEFA European U19 Championship Final in Greece. Sunday’s final will be contested by Spain and Russia, and will be live on Eurosport at 18:45. Anthony will be assisted by Dennis Rasmussen (Denmark) and Nemanja Petrovic (Serbia), with Tamas Bognar (Hungary) as 4th official. 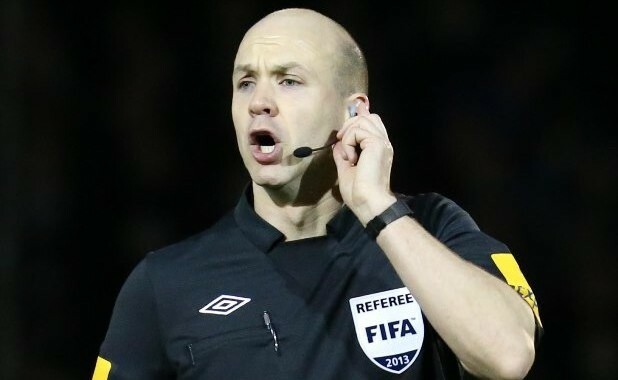 Continuing a very successful 2015 which has seen Anthony appointed as referee to the Capital One Cup Final, additional assistant for the UEFA Europa League Final, and a referee at the UEFA European U19 Championship Finals, we are delighted that he has now been appointed as referee for The FA Community Shield. The match between Arsenal and Chelsea will be held at Wembley Stadium on Sunday 2nd August 2015 (3pm). Anthony will be assisted by Gary Beswick and John Brooks, with Roger East as fourth official and Michael Salisbury as the reserve assistant. Our congratulations go to Anthony and all of his team. Cheshire FA referee registration is open for the 2015/16 season via the Whole Game System. Could all referees please complete this process as soon as possible. We’re delighted that the Altrincham & District FA have 27 newly qualified football referees following completion of their latest course at Sale United FC, led by Stuart Kay. After attending a 3 day course in November and passing an exam on the Laws of the Game, the trainee referees have been refereeing in the Timperley & District Junior Football League under the watchful eye of mentors. Having successfully completed a number of matches, they have now been signed off as FA Qualified Referees. We look forward to the new referees joining the society next season. Please be aware that the Greater Manchester Marathon will result in travel disruption in parts of the district on Sunday 19th April. Plan your journeys accordingly. Details and a map are in the link.